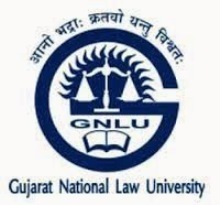 Gujarat National Law University - GNLU published an official notification for Recruitment of Project Assistant posts. Eligible candidates can apply for this recruitment. You can view more details about this recruitment including No. of posts, name of post, Educational qualification, Age limit, Selection process, How to apply etc... You can also view official notification and other important facts about this recruitment e.g. Important links and Important dates. Excellent research and writing skills. Highly desirable: Experience in teaching/ research in universities/ colleges; resentation / Participation in State or National Level Conference/Symposium; Excellent inter-personal and team-building skills; Ability to conduct research work. Bachelor of Law with credentials may also be considered. Ability in writing research report. Desirable: Presentation/Participation in State or National Level Conference / Symposium; Excellent inter-personal and team-building skills; Ability to conduct research work. Last date for receipt of application: 25/11/2017. Last date for receipt of application: 27/11/2017.